Central Java or Jawa Tengah in Indonesia is located in the tropics, at about seven degrees south of the equator. 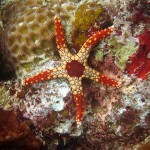 It lies in the center of the Island of Java between the provinces of Jawa Barat (West Java) and Jawa Timur (East Java). 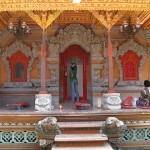 On the south coast it surrounds Yogyakarta, one of the historical and cultural centers of Java. It lies to the Karimunjawa Islands in the Java Sea in the north and to the Kambangan Island in the Indian Ocean to the south. 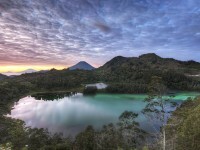 Central Java has a natural environment with beautiful beaches, majestic volcanic mountains and rivers. From all of these we have chosen the top 7 natural destinations in Central Java. The air of the Tlogo plantation is cool and refreshing and the coffee, rubber, nutmeg and clove plantations offer you a gorgeous view. It is one of the best tourist destinations and lies at six kilometers or ten minutes from the Ambawara Railway Museum. The 300-acre Kemuning tea plantation is one of the top 7 natural tourist attractions in Central Java and lies like a carpet between the Sukuh and Ceto temple. Baturraden is one of the most famous resorts in Central Java, lies at 14 km from the town of Purwokerto. Baturraden awaits its visitors on the slopes of the 650-meter high Mount Slamet with cool air, beautiful gardens, pine groves, hot springs, ponds and bungalow-style accommodations. The Tawangmangu resort is a beautiful tourist destination at 40 km from Solo and offers fresh air, beautiful views, swimming pools, bungalow-style accommodation and restaurants for the visitors. It lies on the Lawu mountain, at 1300 meters above sea level. 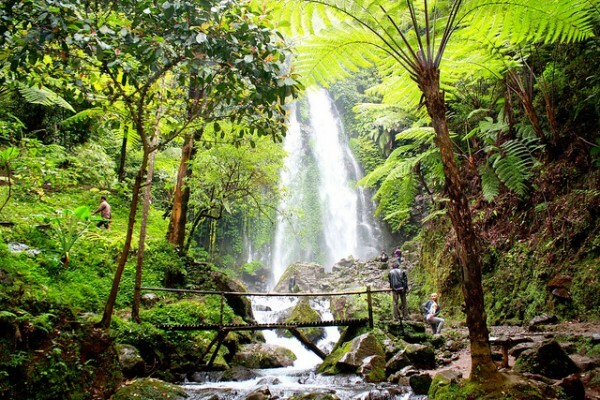 In the surrounding you can visit some temples, a national park and the 40-meter-high Grojogan Sewu waterfall. 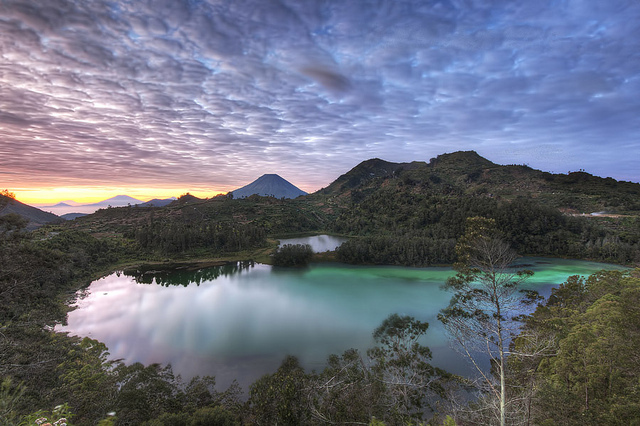 The Dieng Plateau is located at about a four hours drive from Semarang, in this region you will find the oldest Hindu temples of Java. The thirty meter high buildings are located inside of a crater and are surrounded by sulphurous fumes. 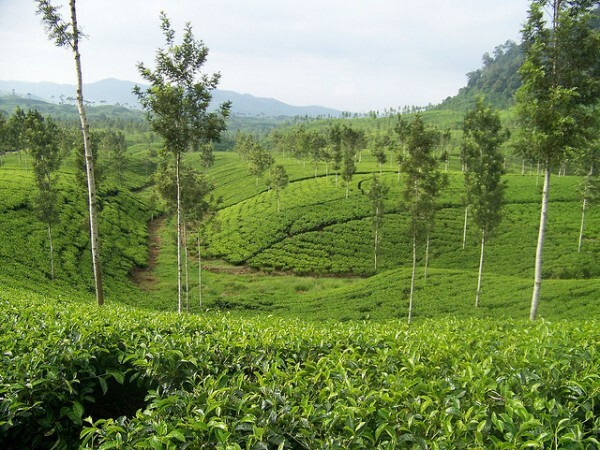 The road passes near tobacco plantations and you will have a beautiful mountain scenery. The Jatijajar Cave is an impressive sight of Central Java and lies near the Pantai Ayah (Ayah coast), at 170 km from Solo. You will see lots of stalactites and stalagmites in its long corridors. The Lutung Kasarung is the legend of the prince that became a monkey and it is presented with the help of slides. Some rivers and lakes of the cave are still waiting to be discovered. The Gong Cave lies at a depth of 256 meters, has 12 rooms, 7 springs and a natural lake. 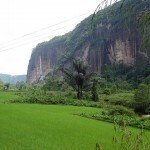 You will find it at the way to Pacitan at 7 km from Punung and at 70 km to south from Solo. It is believed that on some Fridays, the sound of a traditional musical instrument, the gong is heard from the bottom of the cave until nowadays.